What Is Yoga In Astrology ? Yogas in astrology, power of yogas in life, advantages of yogas as per astrology. 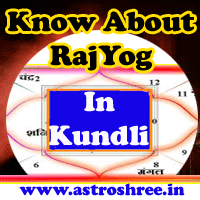 In astrology people are very interested in knowing about yoga in there horoscope/birth chart/kundli. Astrology lovers are very attracted towards yogas in there kundli, some yogas are bad and some are good. Although it is not good to reach at any decision just by seeing yoga in horoscope but it reveal many things about life. Yogas are formed when more than 1 planet sits in a particular way in horoscope. As per there position in kundli they generate different types of effects in life. Some yogas show full effects in life, some yogas show partly effects and some don't affect the life because of there power. If planets which are making yoga are positive and in higher degree then no doubt they will make good yoga and show full effect in life, if planets are malefic or debilitated then the yoga may be khandit or show very less effect in life. If malefic planets with higher degree make any malefic yoga then it may affect the life negatively. But it is good to consult experience astrologer to getrid of any problems without any tension because every problem has some solution. There is no need to get excited by knowing any good yoga in kundli and there is no need to get depressed by seeing any bad yoga in horoscope because time will not remain same all the time. Change is the law of nature. Do work continuously and definitely result will appear. Now We will read about different yogas in astrology which will definitely help my blog reader to enhance knowledge of vedic astrology. जानिए ज्योतिष मे योग क्या होते हैं ?